Ahead of her inaugural lecture on 31st October, The City Law School’s Professor Susan Blake discusses ADR and some of its challenges. Professor Susan Blake will deliver her inaugural lecture on 31st October 2016. The lecture, “The contractual basis for Alternative Dispute Resolution: A platform for party autonomy or the privatisation of justice?”, will take place at 6pm in the Atkin Building under the joint auspices of The ADR Forum of the Centre for the Study of Legal Professional Practice and The City Law School. Professor Blake spoke to City News about aspects of Alternative Dispute Resolution (ADR) and its future in the UK. City News: What is Alternative Dispute Resolution? Professor Susan Blake: If a civil dispute arises, for example in relation to a contract or negligence, the traditional way of dealing with it is litigation – taking the case to court. The term “Alternative Dispute Resolution” (or ADR) describes the range of ways in which a dispute may be settled without going to court for a judgment. 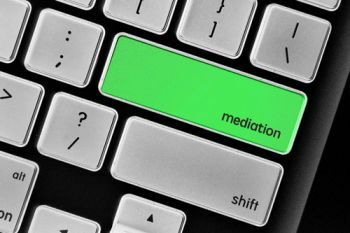 This includes, for example, options where the parties to the dispute agree a settlement through negotiation or mediation. It also includes options where a third party other than a judge makes a decision on the case, as in arbitration or expert determination. CN: In what specific ways does conventional court litigation differ from ADR? PSB: The quality of the court system in England and Wales is recognised internationally. There are well developed Civil Procedure Rules, and judges and lawyers are respected. Indeed high value commercial cases are often brought to London for trial, not least since the opening of the purpose built Rolls Building, However, litigation is a very structured and complex process, so going to trial can be very time consuming and expensive. In contrast, ADR options are less formal, can be much quicker and cheaper, and can be tailored to meet the needs of the parties, because the parties agree what process to follow. The process can also be private, without the publicity that can result from a trial in open court. CN: Has the era of budget cuts to legal aid and access to justice quickened interest in areas such as mediation? PSB: It is absolutely correct that cost is a major driver here. Litigation is inherently expensive because of processes such as disclosure of documents, although reforms following the Review of Civil Litigation Costs are making some inroads. The government has recently raised court fees substantially with a view to ensuring that the court system is self-financing, which can be quite off-putting for potential litigants. New ways of funding litigation, like third party funding and crowdfunding have emerged, but they can raise concerns and are not yet well established. 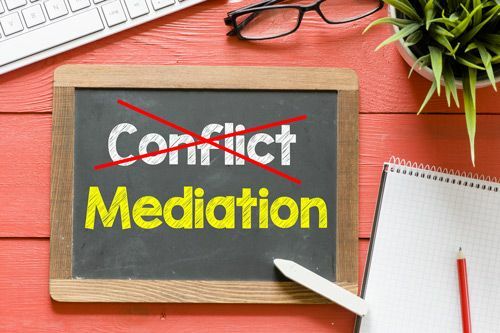 In comparison, processes like mediation can be more cost effective as a trained mediator can assist parties in reaching a settlement. Options like expert determination can equally offer substantial savings compared to a trial with detailed expert evidence. CN: What is ‘party autonomy’ and how do contractual principles come into play in ADR situations? PSB: A court system is provided by a government, with rules established through statutory and judicial processes. The adversarial approach is based on the parties having freedom in preparing and presenting their cases, but they must follow set processes. ADR offers much more freedom. Essentially ADR processes are based on contractual principles – the parties agree to the process they will follow. This provides party autonomy as the parties have substantial flexibility in deciding what sort of process is best to resolve their dispute. The parties can in general terms agree what they like as regards what steps are taken, the use of evidence etc. giving them much more control. 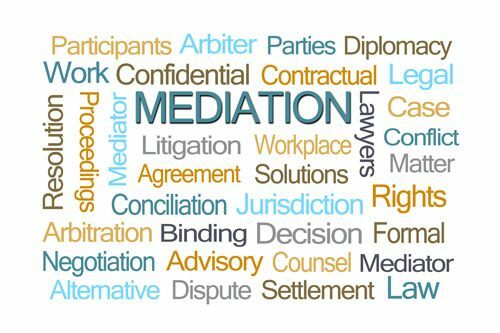 In non-adjudicative processes such as negotiation or mediation the parties also agree the outcome. There is much to recommend processes that support people in resolving their own disputes in ways that suit their needs. CN: Is there a risk that ADR could lead to the privatisation of justice? PSB: Despite the potential benefits of ADR options, there are issues about justice and fairness that need to be addressed. ADR processes tend to take place in private, with the parties controlling what happens, and limited external oversight of process or outcome. Problems such as the lack of development of precedent if there are fewer reported cases are raised by commentators such as Professor Dame Hazel Genn, see for example “What is Civil Justice for? Reform, ADR and Access to Justice” (2013) Yale Journal of Law and the Humanities, Vol 24 Article 18. There are wider concerns about the rule of law if disputes are settled by private agreement, and possibly also about human rights in relation to access to justice. There is an apparently deep divide between the potential benefits of ADR and the potential drawbacks, but there are risks in seeing the position as a contest between ADR and litigation. The best way forward is to go back to the fundamental principles of contract law that underlie ADR, and the right to justice that underlies litigation, to develop a coherent approach to civil justice that makes best use of all approaches. Proposals for online courts that incorporate ADR make this consideration urgent, and the international growth of ADR makes it vital to develop robust processes for the future so that London remains one of the most important world centres for dispute resolution. Please register here to attend this free lecture.